Maria’s reputation in HRM is well known. She is especially recognized for her knowledge and honesty. 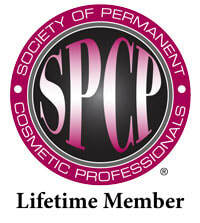 Possessing vast expertise in the field of Permanent Cosmetics, laser technology, and Advanced Para-Medical procedures. At U Spa, Maria ensures that every service is tailored to suit the customer's needs. She has been offering and performing paramedical services since 2000. She created this website with the intention of providing the best possible information to potential clients interested in undergoing above mentioned procedures in order to help them better understand the services offered while providing answers to frequently asked questions. Please read the information carefully and feel free to contact Maria if you have any additional questions. Maria Perez owner and operator of U Spa has worked in the field of Aesthetic Medicine for the past 14 years and has over 35 years of experience in the aesthetic field. Over 17 years experience has a Laser Technician and Laser Trainer. Maria has obtained numerous diplomas and certificates in Medical Aesthetics treatments and Permanent Cosmetics giving her the reputation amongst the cosmetic beauty industry & medical community as one of the best in her field. Since most of U Spa's business is generated by referrals, Maria would like to take this opportunity to thank all her past and present clients, industry colleagues and physicians that have entrusted her with their patients or clients. Thank You for your trust!